Join the Souhegan Valley Chorus on Saturday May 12th, 2018 for our annual spring concert. 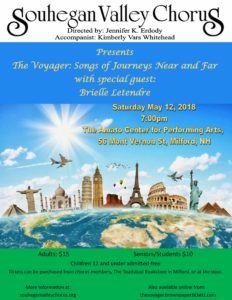 This years’ theme is “The Voyager: Songs of Journeys Near and Far”, with special guest Brielle Letendre. 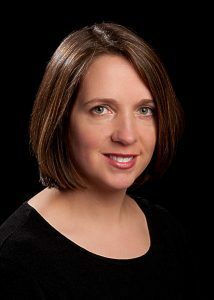 Kimberly Vars Whitehead accompanies the chorus of 70+ members from the Milford-Amherst area and surrounding towns. Brielle Letendre is a 14 year old freshman at Milford High School. She began her dance training at Kathy Blake Dance Studio in Amherst N.H. at the age of 9. She currently dances competitively on the KBDS Elite Dance Team, Elite Hip Hop Team and Ballet Company. Brielle has received numerous accolades and Top Ten distinctions for her competitive solo work at various competitions throughout New England in the genres of Lyrical and Contemporary dance. She was accepted into and trained at the Joffrey Ballet School in New York City during the summer of 2015 and recently auditioned and was accepted into the prestigious Boston Ballet School for the summer of 2018. Brielle aspires to one day work as a Professional Dancer. 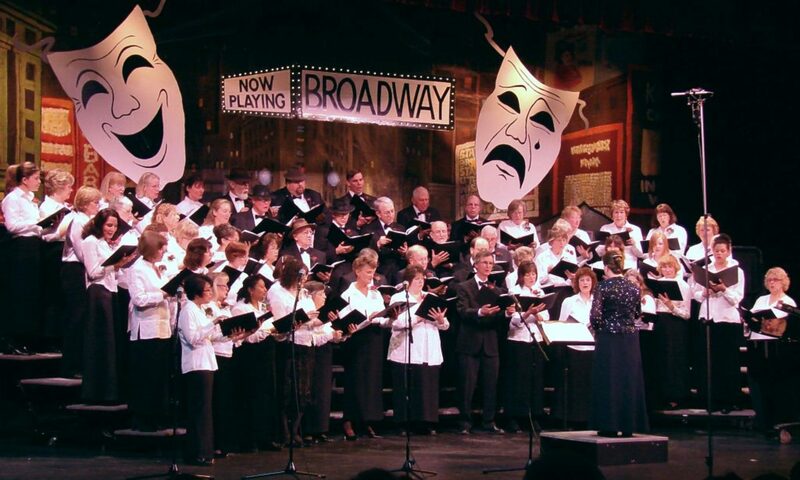 Join Souhegan Valley Chorus for this evening of music! Tickets can be purchased online (See link above). They are also available from The Toadstool Bookshop in Milford, chorus members, and at the door on the day of the performance.